Every so often something special lands on my doorstep, and if it’s food, especially Scottish seafood I’m rarely disappointed. 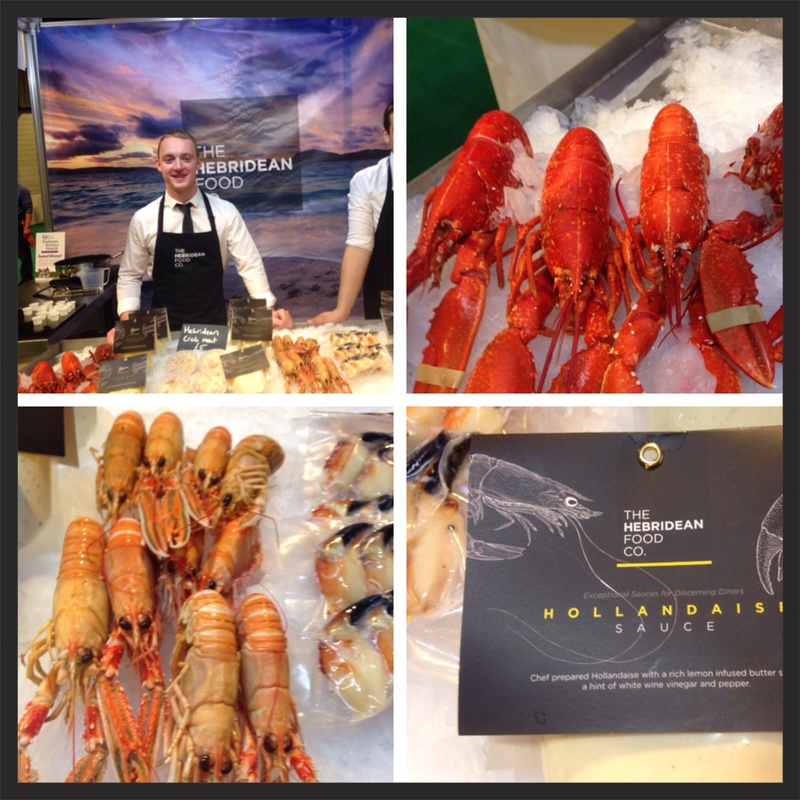 And, when it comes from the waters around Scotland’s Hebridean islands, I know it will be the very best quality. Earlier this year, Douglas Stewart, owner of the Hebridean Food Co and one of Scotland’s young entrepreneurs sent me some lobsters to try. Douglas is no stranger to Scotland’s fishing industry, his passion for seafood started as child. As a youngster and with a lobster fisherman for a father, he spent weekends working on fishing boats helping to sort the lobsters catch. 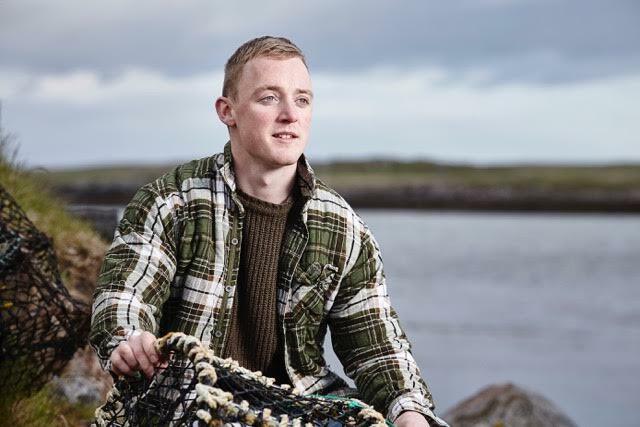 Last year with a degree in agriculture and business along with his passion for seafood, he set up the Hebridean Food Co, selling lobsters, langoustines and crabs from the crystal clear waters around his home on North Uist. As well as selling via the online business he’s been a regular at food shows and festivals throughout the country. I first met Douglas at last years BBC Good Food Show, where his eye catching stand with the freshest of Scottish shellfish and his own range of seafood sauces proved extremely popular with shoppers. The top quality seafood sauces with flavours including smoked salmon veloute, thermidor, cream of pimento and hollandaise, are a great accompaniment to a wide range of shellfish and fish dishes. 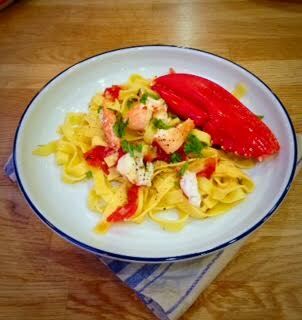 I cooked my lobsters and served with pasta along with other dishes we were having as part of a family fish supper. The simple flavoured sauce allows the beautiful fresh flavour of the lobster to shine through. Lobster makes a special meal and this pasta dish has simple flavours, allowing the delicious taste of the lobstert to shine. In this recipe I've given quantities for 2 using one lobster. 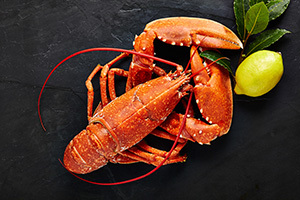 1 medium lobster Cook lobster using your preferred method - see link below. small handful Basil leaves to serve. There are different ways to cook lobster and people also have different views on how it should be killed. This link to BBC food explains. http://www.bbc.co.uk/food/lobster To start, cook the lobster to your preferred method. Once cool, remove the claws, reserve for serving and remove the meat from the body. Cook the pasta according to the instructions on the packet. Heat the oil, add the shallot and garlic and gently cook for 1-2 minutes. Add the tomatoes and parsley and continue to cook over a gentle heat for 5 minutes. Add the wine along with salt and freshly ground pepper and continue cooking for 5 minutes to allow the alcohol to evaporate. Add the lobster meat to the sauce and gently mix through, allowing the lobster to heat through. Add the cooked pasta to the sauce and gently mix. scatter with a few basil leaves and serve with a claw on the side. Since launching the Hebridean Food Co, Douglas has expanded and now also sells a unique range of Hebridean beef and lamb, reared on the uninhabited island of Vallay of the west coast of North Uist. To order see Hebridean Food Company Website for full details . The full selection of seafood products and meat can also be ordered from the Shop Local section of Citylicious.